Society starts with family. Every family – I mean family and not “mama papa me” – family where are 30-40 members – every such family can be perfect varnasrama module. Idea “of birth casteism” is crazy. 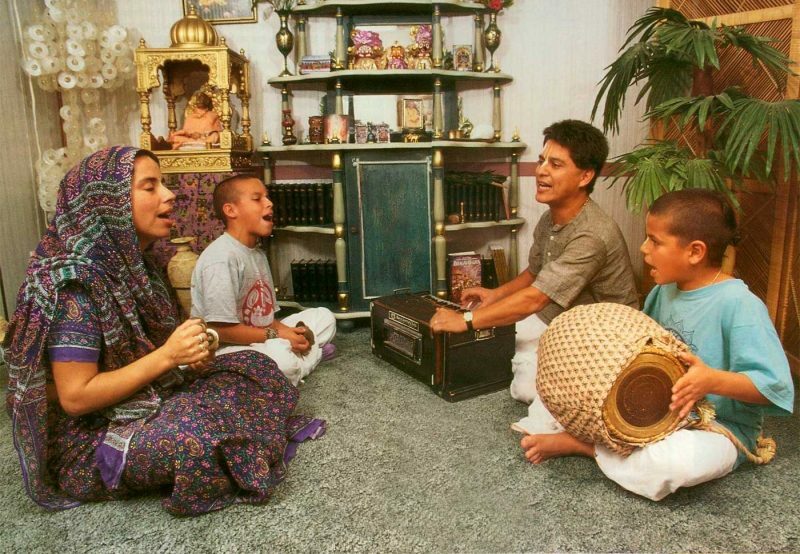 You cannot get even 6 Brahmanas in a family at once – what to speak about 30-40. Everyone is so different. So – in such family everyone will work according His natural propensities for benefit of family. And no one will be ashamed for that he can build houses for family instead of buying house in a credit and putting family in debt slavery. Those who have abilities to make money outside – they will bring money to family, those who will have qualities of warriors – they will protect others, because, you know – on a communal level brute force always matter. And those who has tendencies to accumulate knowledge will help all other members of family with education and advices. That’s the system which lone varnasankaras will never understand in their talk about varnasrama. Therefore they always seek some other artificial solutions – thinking that institution or organization will help. But institution or organization will never be interested in self sufficient varnasrama, because family as it is do not need any organization at all. And all this I clearly see in my own family, and we will go this way. Of course – in a bigger scale there may be variations, because, for example, by proper birth in ksatriya family you have certain rights to be considered as ksatriya and you have rights to continue ksatriya family tradition. But your rights did not limit others to become or to be who they are – ksatriyas, even if they had taken birth in a Shudra family. And even if there will be “varna ID cards” and varnasrama will be backed up by government – it’s still great, that many, who took birth in slums, will be recognized as Brahmins (according astrology) and they will be educated by government accordingly. Such scenario is more like utopia – but still – if all those, who will be born as shudras in Brahmin families will be officially free to do as they really feel, it’s much better than being involved in hipocricy and masquerade – pretending to be someone who you are not. And again – we must never forget that all this is meant for higher purpose of life – to realize Supreme and oneself.